Create Your Own DIY Solar-Powered USB Charger For All Your Portable Gadgets! With endless summer days still aplenty, there’s no better time to invest in a solar charger for all your gadgets. However, Joshua Zimmerman of the DIY site Instructables doesn’t think you need to spend any money in order to get your hands on one. Instead, Zimmerman has designed a simple do-it-yourself solar USB charger that fits cozily in an Altoid tin! The DIY project will charge most mobile devices via USB using 2 rechargeable AA batteries and flexible thin-film solar panels. Read to learn what you need to build your own! 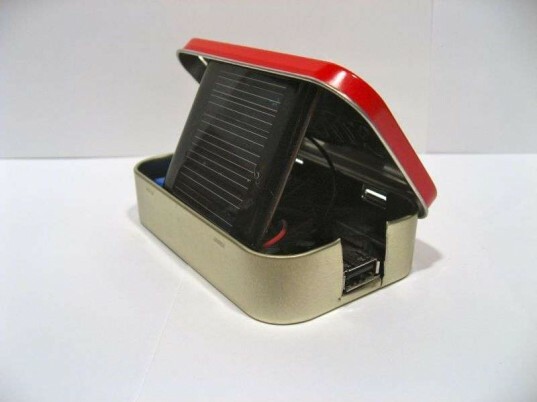 In order to construct your own solar-powered USB charger, you will need thin-film solar panels, 2 NiMH AA batteries, pre-assembled USB charging circuit board, a diode, battery holder, wire and, of course, the Altoids tin. You may also need some tools, so unless you have an impressive tool shed, you will need to acquire a soldering iron, tin snips, wire cutters, hot glue and electrical tape. Due to the simplicity of the project, it should not take more than 1-2 hours, and even if you have no previous experience with electronics this is a perfect ‘first project’. In addition to providing a step-by-step guide, Joshua Zimmerman has also put up a link to the kit he made with all the necessary parts. Note: It is estimated that if you have none of the parts, then all together it will cost less than $30, which I think you’ll agree is much cheaper than the $140 factory-purchased model! With endless summer days still aplenty, there's no better time to invest in a solar charger for all your gadgets. However, Joshua Zimmerman of the DIY site Instructables doesn't think you need to spend any money in order to get your hands on one. 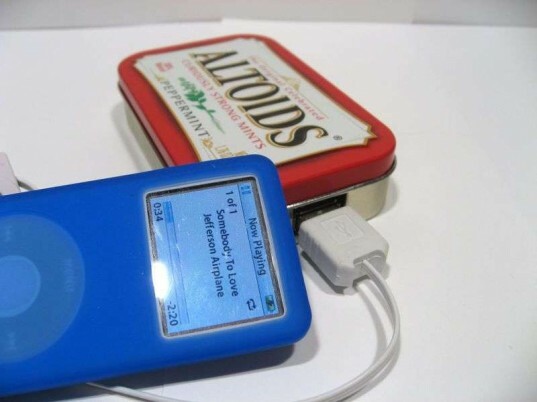 Instead, Zimmerman has designed a simple do-it-yourself solar USB charger that fits cozily in an Altoid tin! The DIY project will charge most mobile devices via USB using 2 rechargeable AA batteries and flexible thin-film solar panels. Read to learn what you need to build your own!